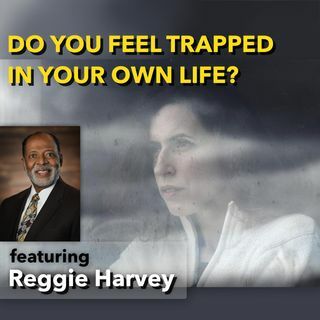 Do you feel trapped? Do you feel overwhelmed? Do you feel as though you're waiting for everyone else to make decisions for you to be able to move forward in your life? Do you feel as though you have taken a backseat to your life, letting others lead, waiting on others to make decisions and because they really can't make decisions for you, you feel trapped. Listen to this show and begin to flip the script on your life direction. This show is valuable because until we take the ... See More leadership role back, we will feel walked all over, disrespected, and unheard. Don't miss Reggie Harvey, author of Anatomy of a Patient, he discusses chapter ten in the book, in this chapter he and a dear friend go to Hawaii, with Reggie in a wheelchair. He and his friend had a wonderful time. His perspective is very powerful in letting go of feeling trapped and taking the leadership role in his own life.